Michalis was super helpful and knowledgeable about the area and answered any question I threw his way. He even helped me learn a little of the Greek language. Location is quiet, but far from the beach. Very nice view from balcony. Nice guy in reception. The view was breathtaking. The owner was willing to help us with everything. 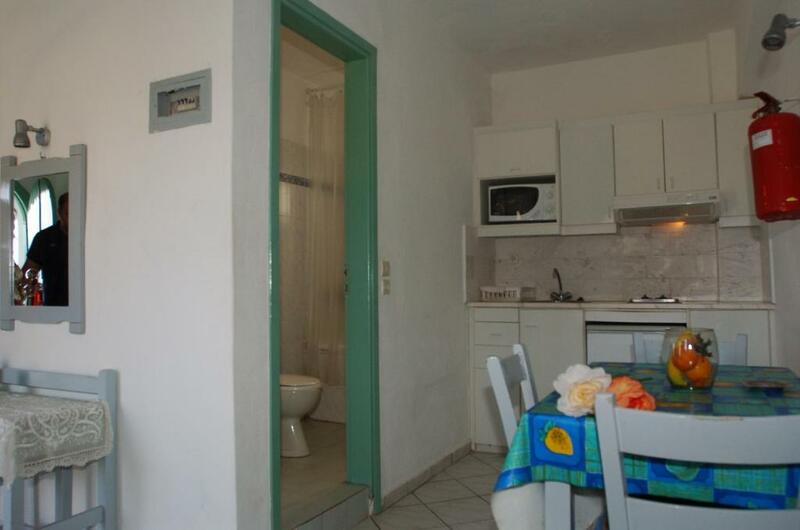 Quiet, convenient with air-condition, free parking and a small pool. Great value for money. The apartment was spacious with a separate double bed. The high position of the apartment offered great views over the bay.clean. We stayed one night, came very late, Michael was very kind and friendly, checked us in for good price. Spent one night. wonderfull location and view from balcony, very good beach only ten minutes from apartments. 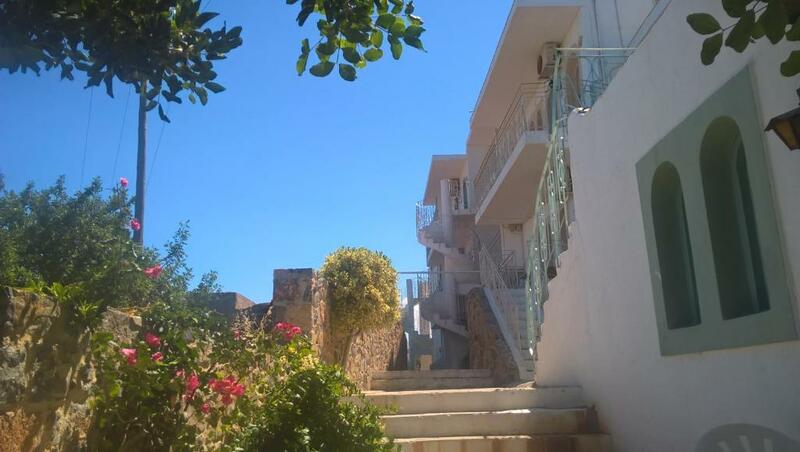 Creta Star This rating is a reflection of how the property compares to the industry standard when it comes to price, facilities and services available. It's based on a self-evaluation by the property. Use this rating to help choose your stay! Set in the lush Cretan countryside, Creta Star offers whitewashed accommodations with kitchenette facilities. It includes a swimming pool with sun beds and umbrellas overlooking Chavania Bay. 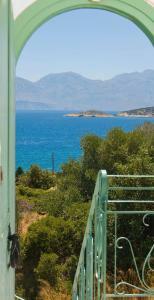 Bright and airy, Creta Star studios and apartments have a private balcony, some enjoying sea views. They all include a satellite TV and a dining area. The kitchenette is equipped with a microwave and a fridge. A safe can be provided upon charge. 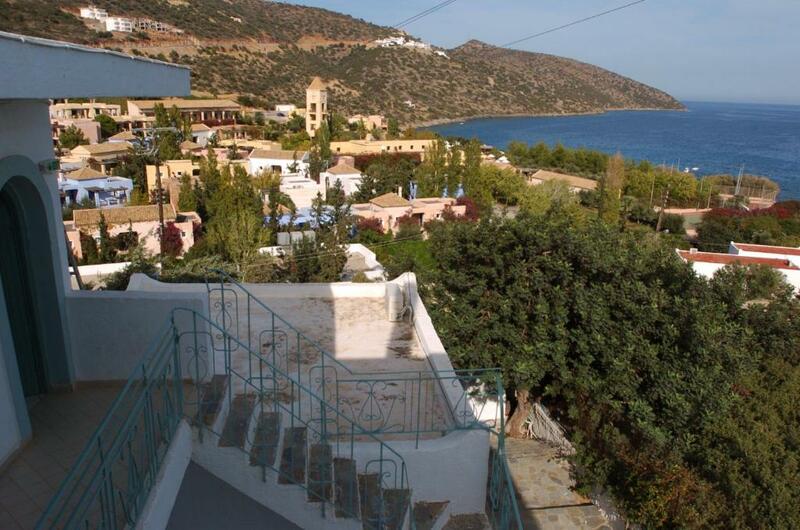 Within 17 mi, guests can visit the archaeological site of Sitia. 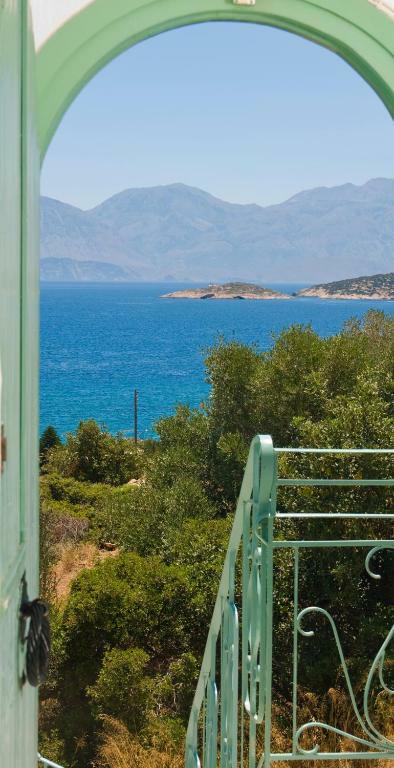 The seaside town of Agios Nikolaos is around 1.6 mi away. Free parking can be found near the property. 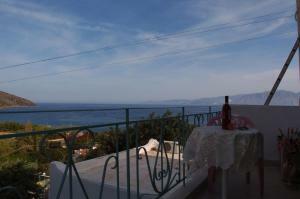 When would you like to stay at Creta Star? 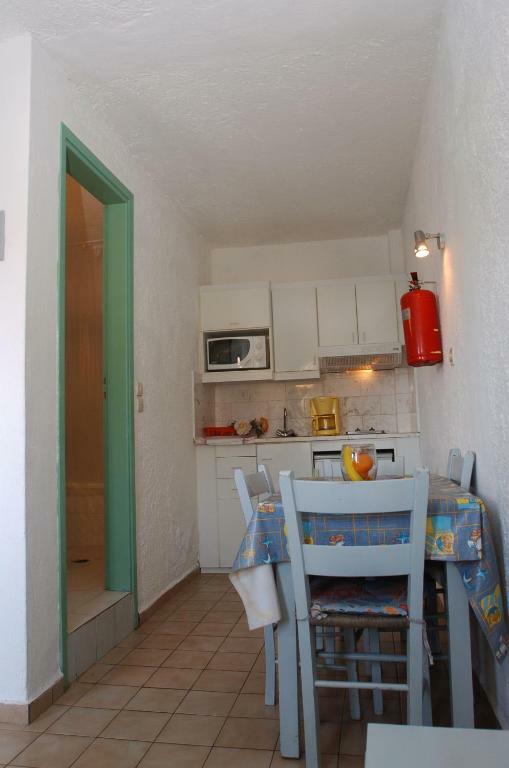 Set on the ground floor, this studio features a dining area, TV and kitchenette. A small fridge is also provided. This apartment has a balcony, satellite TV and seating area. House Rules Creta Star takes special requests – add in the next step! One child under 3 years is charged EUR 5 per person per night in a crib. Creta Star accepts these cards and reserves the right to temporarily hold an amount prior to arrival. Please note that the reception is closed from 14:30 o'clock until 17:30 o'clock. Please inform Creta Star of your expected arrival time in advance. You can use the Special Requests box when booking, or contact the property directly using the contact details in your confirmation. Not suitable for people with disabilities (many stairs, no elevator). No wifi in the room. Really old building. Maybe the bathroom need to be change. Nothing major, just provide a better bread knife please! 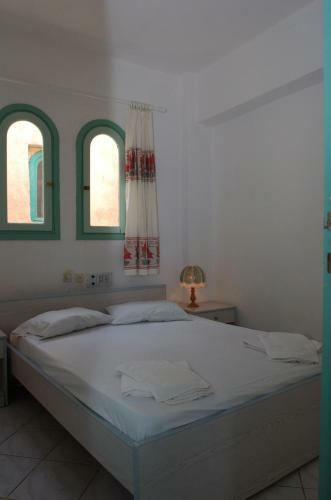 Creta star is budget accommodation, so as long as you accept this you will be very pleased. The apartment we received was a lovely traditonal stone room, very spacious, had a good sized balcony and air conditionning (included in the price). The kitchen had a microwave and coffee machine included which we weren't expecting and very welcome but the other provisions were sparse or a little tired - our fridge had a freezer compartment which was frozen shut and the only kitchen knife we had was too blunt to cut bread! The pool is adequate. The location of the apartments are not suitable for anyone with mobility issues. Creta star is close ( 5-10 minute walk) to the lovely Havania beach which has a beach bar, shower, WC and sunbeds and parasols for hire ( 7 euro for a pair plus parasol) and you are also on the bus route for Agios Nikolaos and Elounda which are both cheap and fairly frequent. A taxi to AN will cost around 8 and to Elounda approx 14. We walked into AN, which takes around 45 minutes and is a lovely way to enter the town with a few bars on route if you get thirsty! Lastly the manager of Creta Star, Michael is absolutely lovely, he deserves the stars all to himself! He is friendly and helpful, gives you a lovely welcome on arrival, with plently of useful information as well as his mobile number in case you have any issues. He sent us on our way with a big hug and I hope we can return one day. one staff member became very unprofessional with constant inappropriate conversations. The houses need major upkeep and the water coming out of the shower/ bathtub was brown!!! Spacious, clean room in low price, near to the beach and bus stop. Nice see view from the hotel to the sea. No kitchen facilities. Does not invite you to cook or even prepare a cafe. In our room we have a very bad smell. The pool is not very clean and sun bed very old and dirty.